The Redditor decided to get a little creative to save money on his pet's collar. Everyone knows vet bills can be expensive, so, when this owner needed to buy his dog an "anti-scratch cone," he decided to get creative. Reddit user GusFringus posted this picture, alongside the caption: "The vet said the anti-scratch cone would be $50.00. 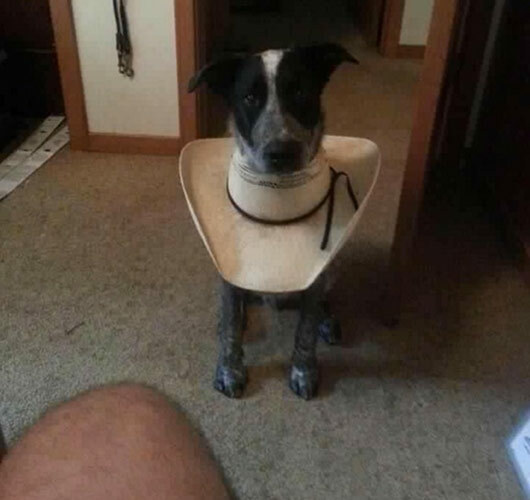 Tractor Supply had it for $19.95.."
The pet pooch looks pretty unimpressed to be sporting a cowboy hat with a hole in the top, but we have to hand it to his thrifty owner! With some comments claiming the real thing only costs between $5 and $25, it's more likely the Redditor almost got swindled... or at the very least, just used his dog getting stuck in a cowboy hat to set up a joke!